Forensic Science is defined as any science which is used as evidence in a court of law. This course will provide participants with a broad knowledge of the core sciences and an understanding of the Irish legal system. Students explore the fundamentals of forensic science, evidence collection and analysis. 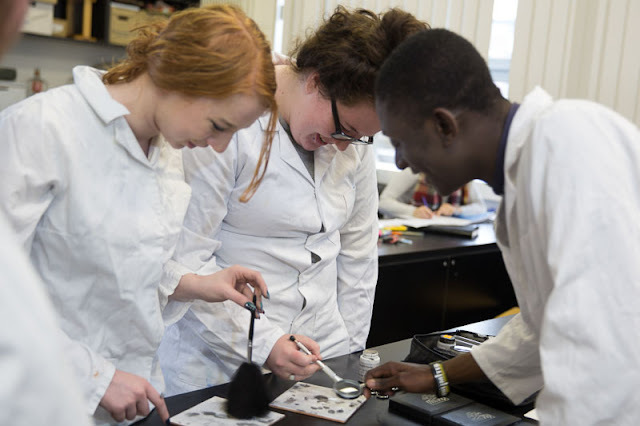 Students will gain skills in fingerprinting, exposing and lifting prints, analysing hair and fibres, casting foot and tyre prints, blood spatter analysis and DNA profiling. Participants will develop useful skills through hands-on laboratory work as well as an appreciation of the concepts particular to forensics. Students will also develop skills in problem solving, organisation, team work, effective communication and the use of new technology, an important emphasis is placed on working safely. These skills are relevant to a wide variety of industries and professions including An Garda Síochána, the Defence Forces, the State Laboratory the Forensic Science Laboratory, the legal science profession or science in general.